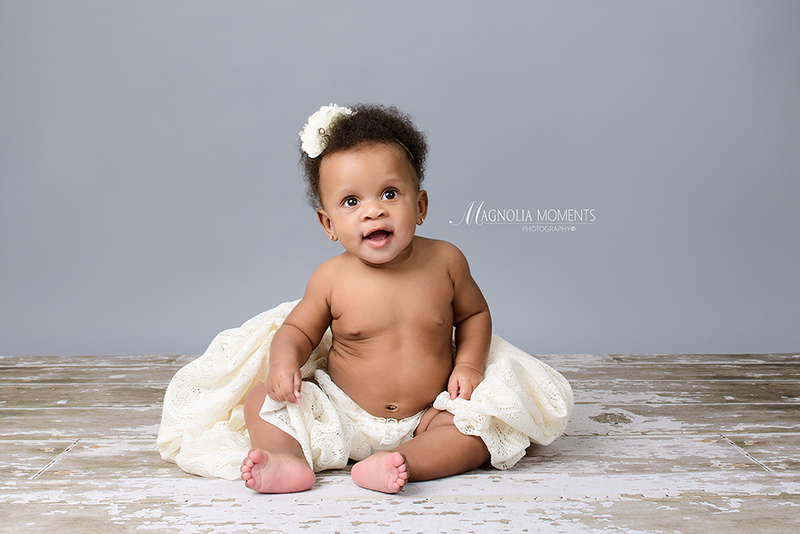 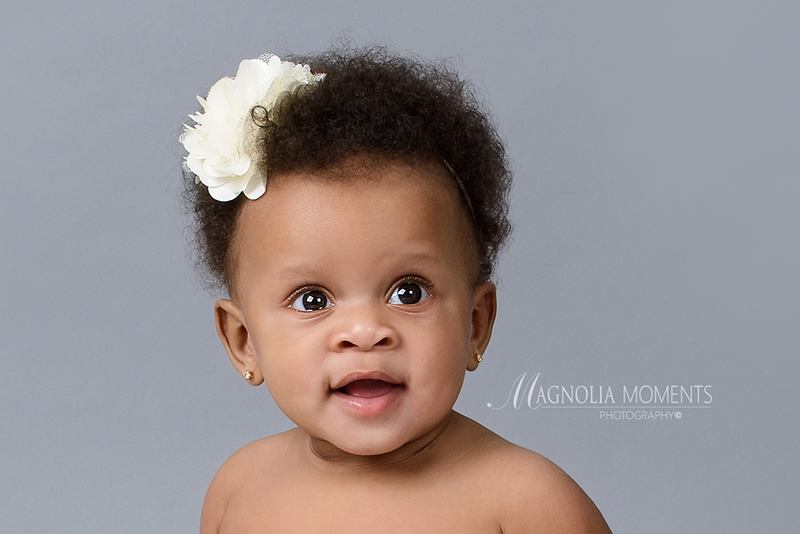 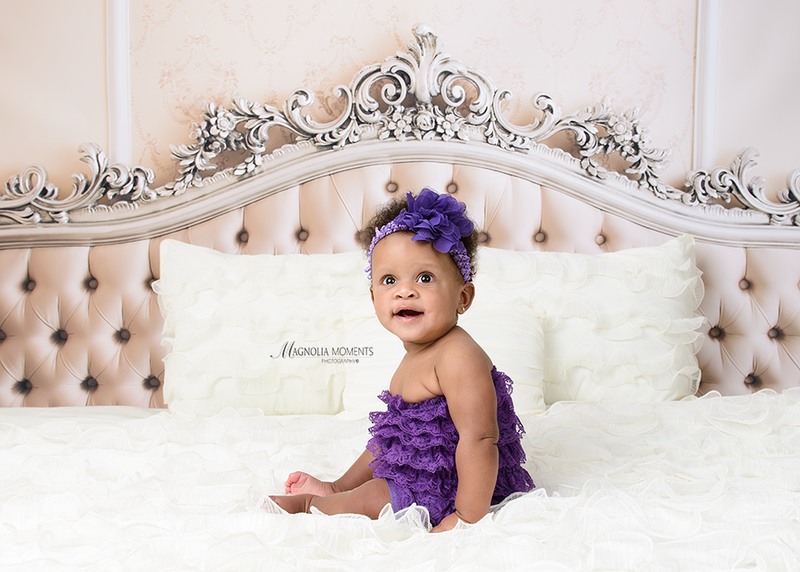 This happy baby girl popped in our Collegeville, PA, newborn and baby photography studio for her 6 month portrait session and was so full of smiles she made my day. 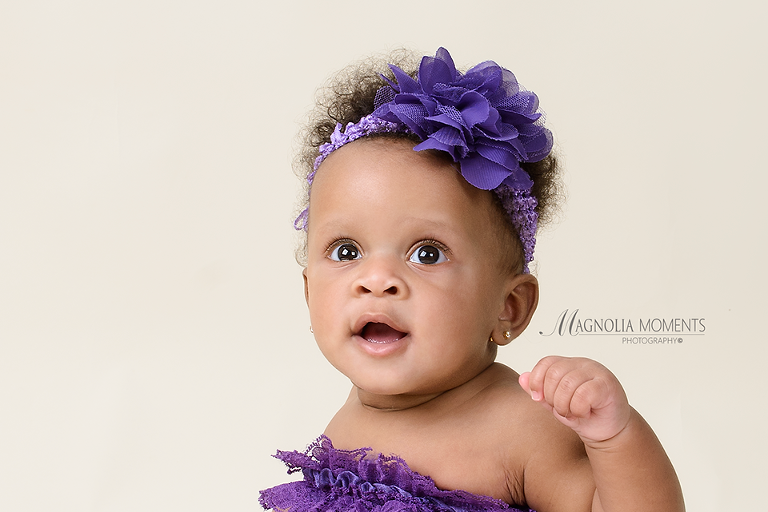 Love her in the purple and those eyes…swoon! 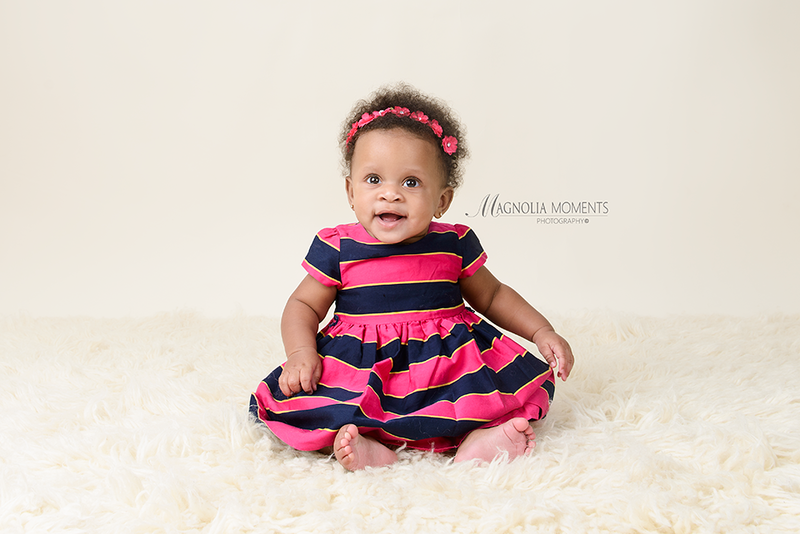 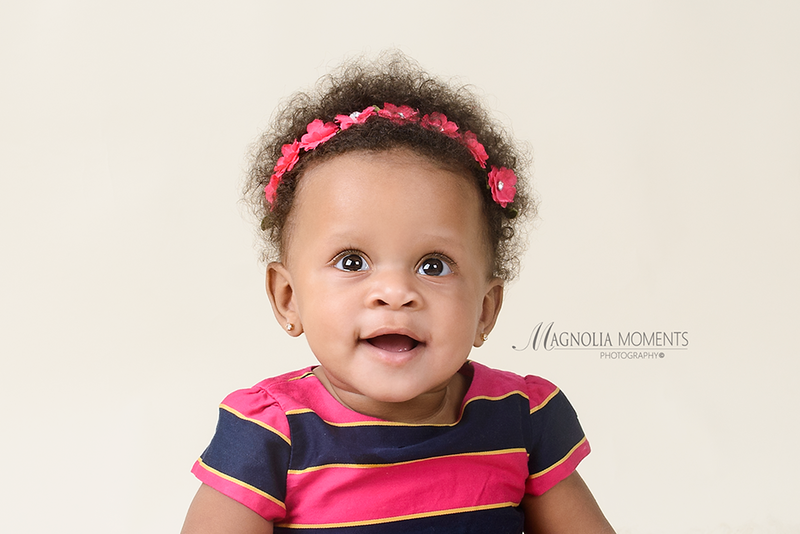 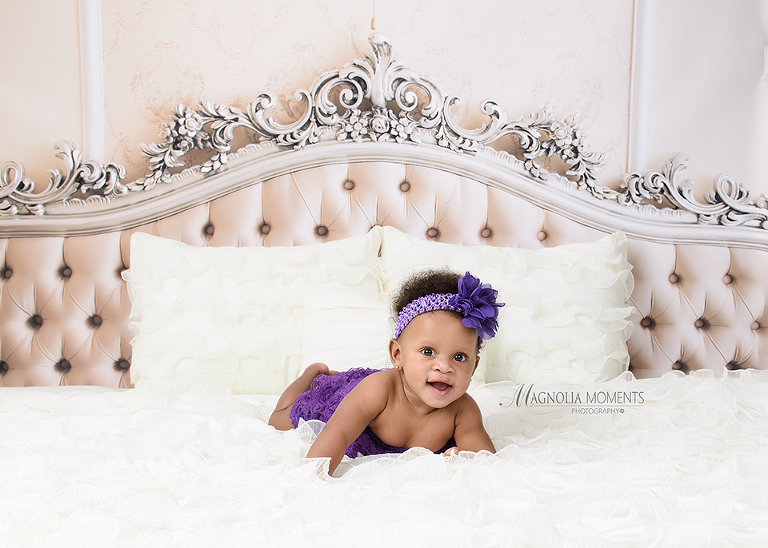 It was such a pleasure meeting you, D family, and I so appreciate that you chose Magnolia Moments Photography as your Philadelphia PA baby photographer. 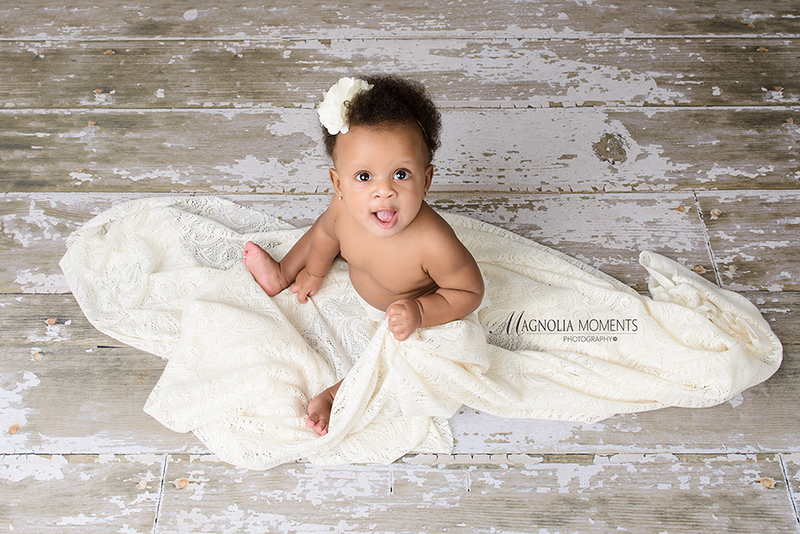 Thanks for letting me hang out with your precious little girl.